Most medical schools would prefer if you have some patient contact experience. One of the easiest ways to acquire these hours, while getting paid, is obtaining your CNA/LNA. A CNA is a Certified Nurse Assistant, and an LNA is a Licensed Nurse Assistant. Essentially, they are one and the same, but the requirements and terminology vary from state to state. If you’re not applying to medical school but are thinking physician assistant (PA) or even nursing school, your CNA/LNA will give you the upper hand. In fact, most PA schools require 1000+ hours of patient contact experience, so getting your CNA/LNA early can help alleviate a lot of stress and help you save for school. What does a CNA/LNA do? I’m not going to sugar coat it. A CNA/LNA gets the $h!tty end of the stick, quite literally. A CNA/LNA’s job is to help a resident or patient with activities of daily living (ADLs). For example, an LNA is in charge of helping a patient get dressed, brushing their teeth/hair, helping them toilet, and even eating. That being said, your job description varies depending on the facility that you’re working at. In a hospital setting, there is a lot more cleaning involved and a smaller person to patient ratio. In a nursing home or assisted living facility, the residents tend to be more dependent and there is a larger person to resident ratio. All in all, if you’re not willing to get elbows deep in human excrement I wouldn’t suggest this particular career path. How do I become a CNA/LNA? 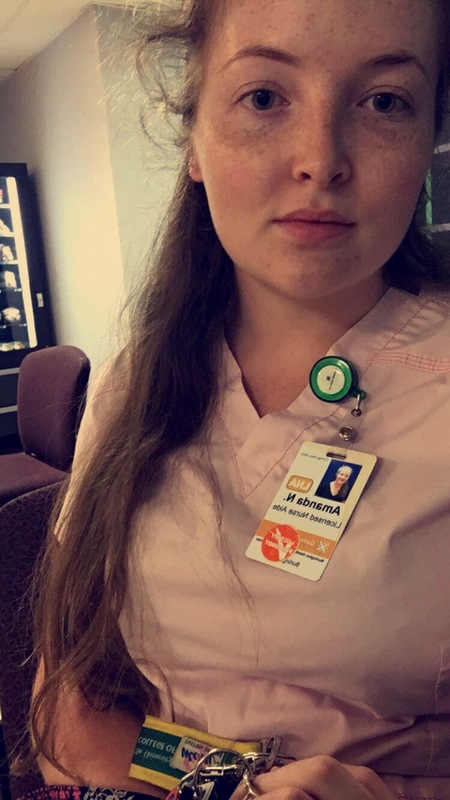 In order to become a CNA/LNA you will have to take a course that has anywhere from 40-80 class hours, 40+ shadowing hours, and then pass a state board exam. The class is not cheap, usually they range from $1,000 to $1,500. That being said, many classes offer scholarships and a lot of facilities will pay for your course if you agree to work for them for 6-12 months. The easiest way to figure out what classes are available near you is google. Simply type, “CNA or LNA classes near me,” and a list should come up showing you nearby facilities. Most classes have websites for you to look in order to see the class requirements, syllabus, and cost. Use the websites to compare prices and potential experience gain when deciding which class is best for you. Classes may also run for different lengths, i.e. there may be a Monday-Friday course for a few hours a day for ~six weeks or a Saturday/Sunday course for the entire day for ~10 weeks. Make sure that you pick a class that suits your lifestyle. For example, I took my class on the weekends during the spring semester of college because I was a full time student Monday through Friday. In my opinion, it was not hard to manage at all. Once you’ve finished the class you have to take the board exam. It is typically divided into two sections, writing and practical. In the writing portion you are given a multiple choice exam and in the practical you are required to demonstrate skills that are chosen for you at random in front of a state examiner to prove your proficiency. For example, you may have to demonstrate how to clean dentures, reposition a patient, take a patient’s blood pressure, dress a paraplegic patient, e.t.c. Although this sounds intense, your class should fully prepare you for this exam. As long as you do well, pay attention in class, and feel comfortable with the skills you should have no problems passing the exam. What should I do once I have my CNA/LNA? Start the job search. Keep in mind that some facilities will offer to pay for your course if you agree to work for them for 6-12 months. This is a great option if you’re looking for a job immediately after the exam, and you don’t want to pay for it. However, if you cannot seem to find a facility to pay for your exam, a lot of facilities will offer you a sign on bonus if you agree to work for 6-12 months which will essentially reimburse you for the class. As a CNA/LNA you can work in a lot of different patient settings. There are acute and long term rehabilitation centers, hospitals, assisted living facilities, memory care facilities, long term facilities, and even doctor’s offices and clinics. Basically, the possibilities are endless, and CNA/LNAs are always in need. As an LNA you can expect to make anywhere from $11-$18 dollars an hour starting out, depending on where you work and your preferred shift. Health care is a 24 hour job, so you get can choose from day, evening, or night shift. To sum it up, being a CNA/LNA is not the most glamorous job in the world, nor is it something I would suggest making a 30 year career out of. However, it is a great stepping stone into the field of healthcare and the experience you’ll earn is priceless.